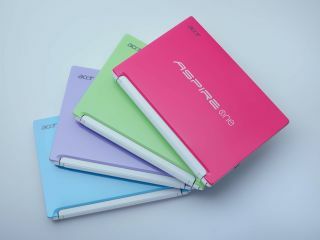 Acer has regained the top spot ahead of Hewlett Packard for computer shipments in Europe, the Middle East and Africa – although it actually sold less units in the key Western European market. Acer and HP have battled it out for top spot in the past year, and it was the former's performance (60 per cent growth) in central and eastern Europe (CEE) that allowed it to take top spot – despite IDC describing it as a 'soft quarter overall' for the vendor. HP also made gains in the CEE region, with a 45 per cent growth, but also struggled in Western Europe. Interestingly, an impressive bounce-back from Dell saw it actually grow in Western Europe – recording a 12.2 per cent increase in shipments to the EMEA region as a whole. Asus and Lenovo also recorded what IDC described as 'a solid performance' with the former logging an impressive 26.8 per cent growth year on year and the latter notching up a huge 61 per cent growth. "Beyond the Top 5 – Toshiba displayed softer results overall, which contributed to push the vendor to sixth position, but lined up a strong performance in the CEE and MEA regions, while Samsung and Apple continued to deliver strong performances and gain share in the consumer space in particular, added IDC's report. "Samsung continued to gain share in Western Europe, but the largest push this quarter was seen in the CEE region, while Apple benefited this quarter from additional momentum around the iPad and Apple branding, which contributes to support demand for Apple products."